Jay Park has been preparing an English language album (Everything You Wanted) for some time now, and today has released another of his English offerings to the music world: Aquaman. Please note this track contains NSFW lyrics. Both the track and music video are unlike anything in the kpop world. Though Jay has said he’s making an English language album its as yet unclear whether he will attempt to ‘break America’ with it – even though he’s likely the Korean artist most able. If he does have those plans he seems to be going about it the right way. Fans are already making comparisons to the music and visuals of poor excuse for a man R&B artist, Chris Brown. Though there is a far more accurate comparison. Aquaman looks to have been filmed in the Californian desert, the exact location for Stella McCartney’s POP film featuring Grimes, Lourdes Leon, Kenya Kinski-Jones, and Amandla Stenberg. Aquaman even features the exact car from the add. The car, known as Carpool DeVille, is the creation of Canadians Phil Weicker and Duncan Forster. A converted 1969 Cadillac, the car now holds around 5,000lb of water to be both a fully fuctional car, and heated hot tub. Based in Los Angeles California, Carpool DeVille is available to hire. Besides the Stella and Jay Park appearances the carpool has featured on The Bachelor, and in a Tiffany Houghton music video. As a song name, this is an incredibly smart move. Warner Bros and DC are currently making Justice League and Aquaman movies, with Jason Momoa (Khal Drogo, Game of Thrones) suiting up to play the King of Atlantis. Talk is big on these movies right now given DC’s current marmite release, Suicide Squad, still playing in cinemas. 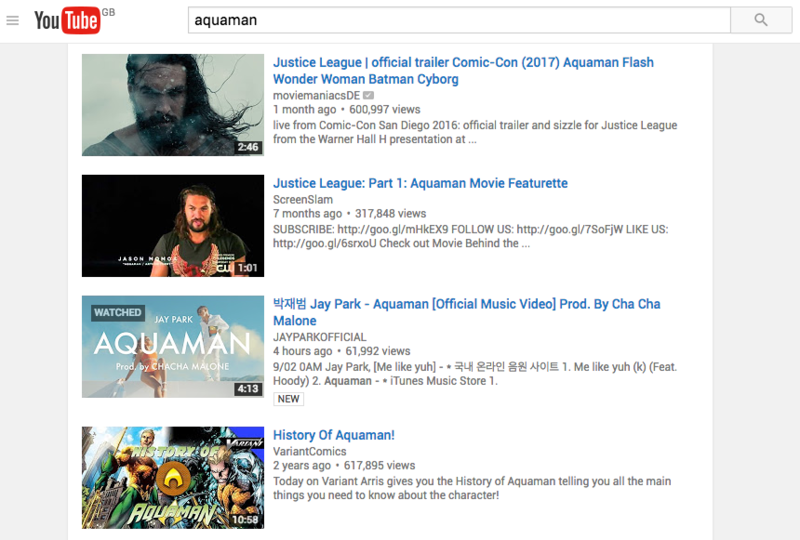 In a standard YouTube search Jay Park’s Aquaman is the third result, behind only the Justice League Comic-Con trailer and Screen Slam’s look at the character. As mentioned at the beginning of this post the track features plenty of adult content; and in true Jay Park style much of it is written as word play and/or double entendre. It is this style of music, in my personal opinion, that Jay Park does best given its smarter use of language than much of his rap-oriented music. With this and I Don’t Disappoint showing off the music set to feature on Everything You Wanted you’d have to image Jay is set to make one hell of an impression!